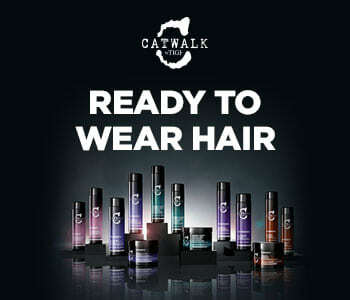 Prep and prime your hair for couture styling with the TIGI Catwalk Shampoo range. This collection of advanced hair care products helps you to achieve show stopping style with minimum effort. Whether you prefer your hair to be elevated to the max with bouncy volume with Your Highness, smoothed out and ironed straight with Sleek Mystique, or glossy and curly with Curlesque, the TIGI Catwalk Shampoo range has the formulation for you - no top hair stylist required!